The leaking of such grisly details, on the same day Secretary of State Mike Pompeo was visiting Turkey, reflected an escalation of pressure by the Turkish government on Saudi Arabia and the United States for answers on the fate of Jamal Khashoggi. ISTANBUL — Saudi agents were waiting when Jamal Khashoggi walked into their country’s consulate in Istanbul two weeks ago. 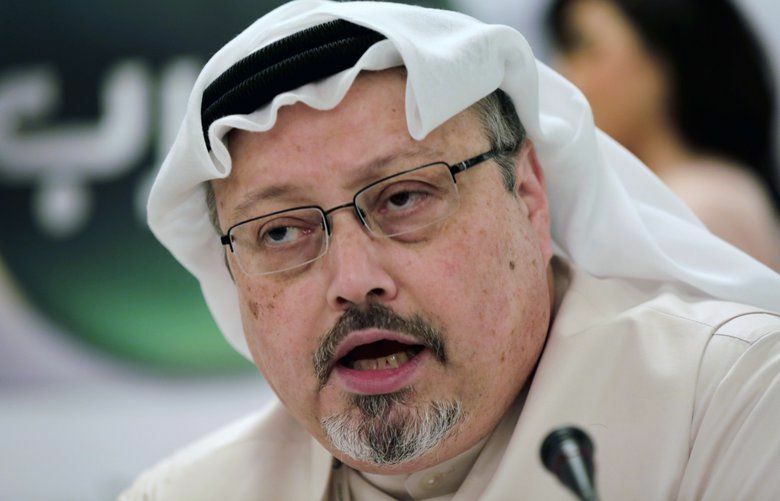 Khashoggi was dead within minutes, beheaded, dismembered, his fingers severed, and within two hours the killers were gone, according to details from audio recordings described by a senior Turkish official on Wednesday. U.S. intelligence officials say they have growing circumstantial evidence that Crown Prince Mohammed bin Salman was involved in the disappearance of Khashoggi, who entered the consulate in Istanbul more than two weeks ago to obtain a document for his coming wedding and did not emerge. But Turkish officials on Wednesday reiterated their conclusion that a team of 15 Saudi agents, some with ties to Salman, was waiting for Khashoggi inside the Saudi Consulate the moment he arrived, at about 1:15 p.m. on Oct. 2. But the consul was present and objected, the official said. “Do this outside. You will put me in trouble,” al-Otaibi told the agents, according to the Turkish official and a report in the Turkish newspaper Yeni Safak. Both cited audio recordings said to have been obtained by Turkish intelligence. A top Saudi doctor of forensics had been brought along for the dissection and disposal of the body — an addition to the team that Turkish officials have called evidence of premeditation. And as the agents cut off Khashoggi’s head and dismembered his body, the doctor had some advice, according to the senior Turkish official. But Trump’s comments suggested that the Turks have also declined to share their evidence with U.S. intelligence agencies, which are usually close partners. That reluctance suggests the Turkish government may be seeking to reach some accommodation with Saudi Arabia while avoiding a full rupture in relations with another important regional power. An investigation by The New York Times revealed on Tuesday that at least four of the suspects whom Turkish officials have said played a role in Khashoggi’s disappearance or death have close ties to Prince Mohammed, having traveled with him as members of his security team. “It’s reasonable to give them a handful of days to get it right,” he said of the Saudis. Trump, too, appeared inclined to trust the Saudis and denied that he was “giving cover” by insisting that they should be regarded as innocent until proven guilty. Saudi Arabia “has been a very important ally,” Trump said. He noted again, as he has repeatedly since Khashoggi’s disappearance, that the kingdom was spending billions of dollars on U.S. weapons. In Istanbul, Turkish investigators were allowed to search the residence of the Saudi consul on Wednesday, 15 days after Khashoggi’s disappearance. The Turks have repeatedly pressed for access to the premises, and they were accompanied on Wednesday by a team of Saudis. Former U.S. intelligence officials have said they consider their Turkish counterparts both competent and credible when it comes to domestic intelligence gathering, and it would not be surprising if the Turks possessed audio surveillance from within the Saudi Consulate. Pro-government news organizations may publish incorrect information. But it is highly unlikely that they would publish information about a politically sensitive investigation without the consent of the authorities. 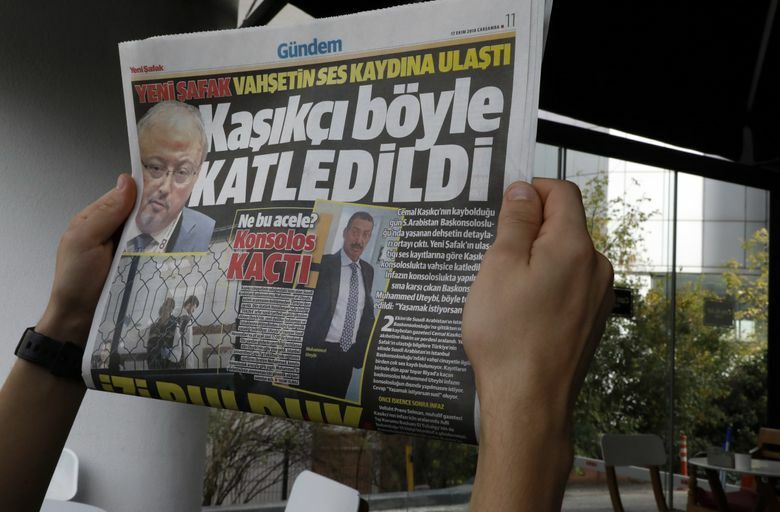 So the resumption of disclosures about Khashoggi’s disappearance is more likely to reflect a decision by the Turkish president than a burst of muckraking zeal.